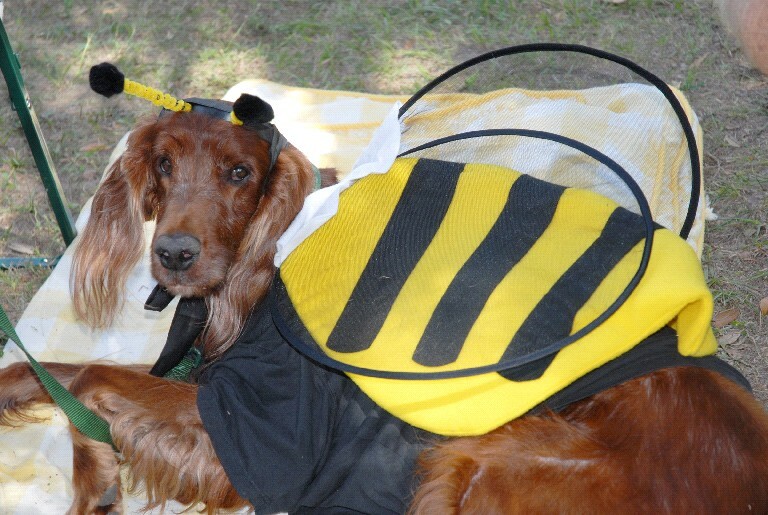 This year's SetterFest was held to celebrate the 10th anniversary of the Florida All-Setter Rescue program. 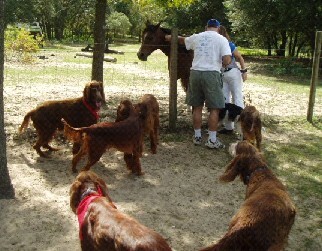 We had perfect Florida weather as a background for a beautiful blur of red dogs! Chuck Petterson (Iowa) of Gordon and Red & White Rescue just happened to be working in Florida in October and attended both days of SetterFest. He is the ultimate in event assistance, from parking vehicles and planting birds to selling raffle tickets! He wrote the following article for the GSCA "NEWS" and the ISCA "MEMO"
SetterFest 2006 was held near Umatilla, FL, October 14th and 15th. 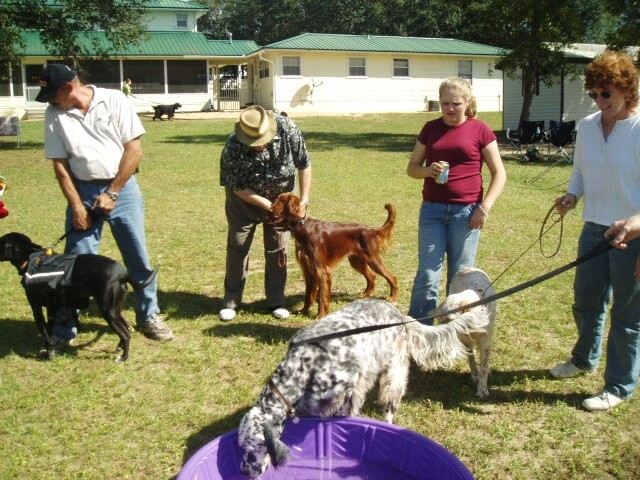 Bonnie Foster hosted the event at her property, in the lake country north of Orlando. The turnout was excellent, with Setters of all persuasions in full force. 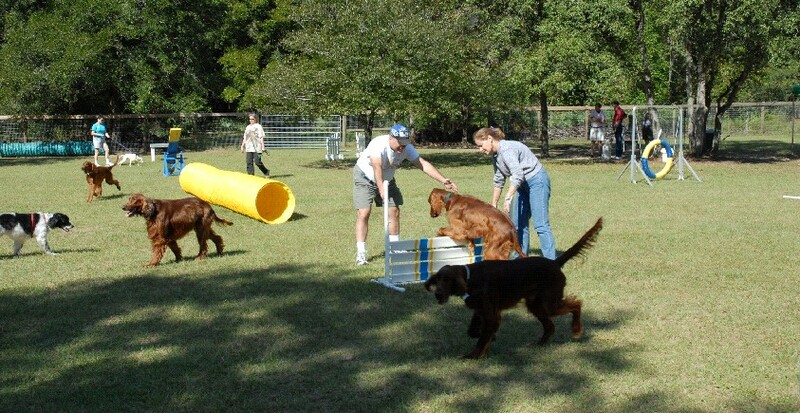 The Bay Area Irish Setter Club of Tampa sponsored a "B" Match. 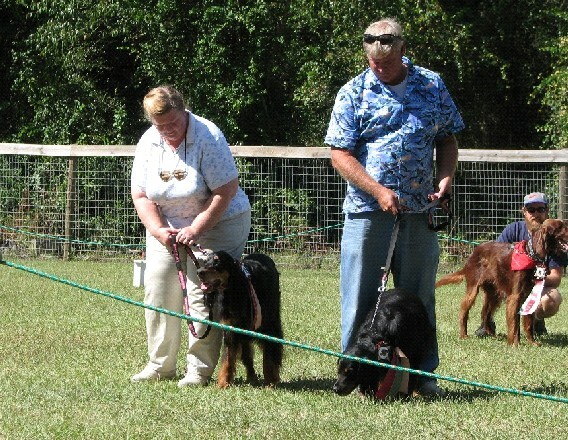 Fun Matches were held by the Gordon Setter Club of Central Florida and the Central Florida English Setter Club. Toni Thomas judged a large entry, including junior handlers. 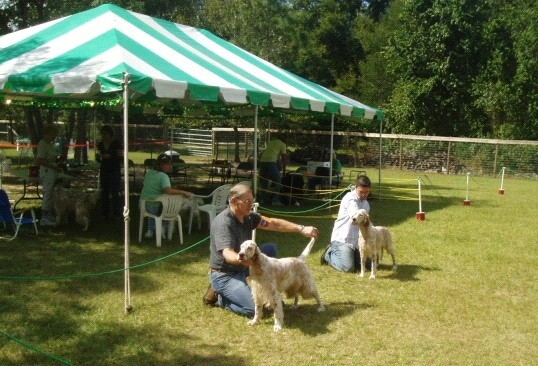 In addition to conformation judging, dogs and handlers had opportunities to experience agility exercises, bird-field work, and grooming tips. Kate Boulos and Greg Brannen of Cedar Ridge English Setters provided the expert oversight of the field activities and there was a constant group of dogs and handlers waiting for a turn to get a sniff of a quail. 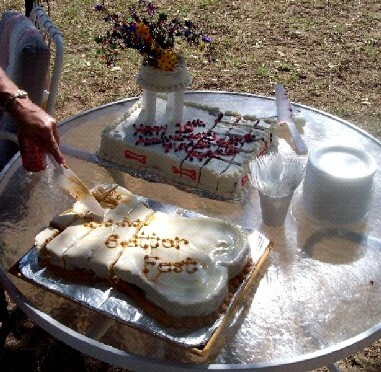 However, the gathering wasn't all work and no play. Between morning and afternoon conformation events a huge pot-luck lunch was spread out. Late in the afternoon games were held for the dogs, including a costume contest, singing dog recital, and hot dog dunk. A Parade of Rescues reunited a score of dogs with many of their former foster parents. 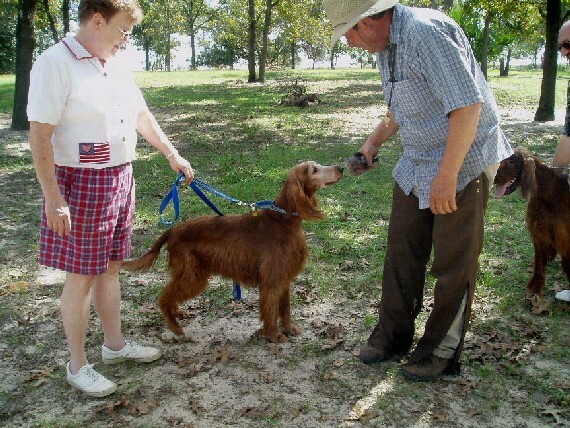 Each of the adopting families was all gushy about their special Setter. 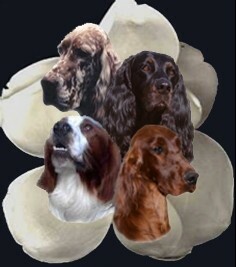 A short biography was read about each dog and they were all given rosettes and treat bags. 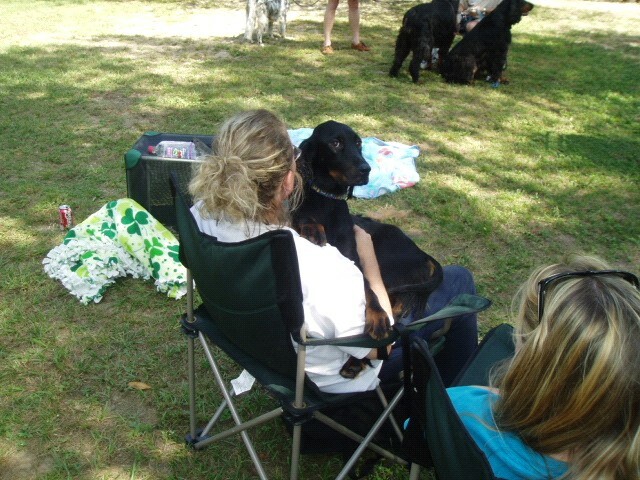 All of these activities were for the benefit of Florida All-Setter/Magnolia Setter Rescue and the Gordon Setter Club of Central Florida. Between entry fees and fund raising activities each group had a successful weekend. An event such as this does not happen without good planning and plenty of help. Bonnie Foster did a superb job on the planning and enlisting help.